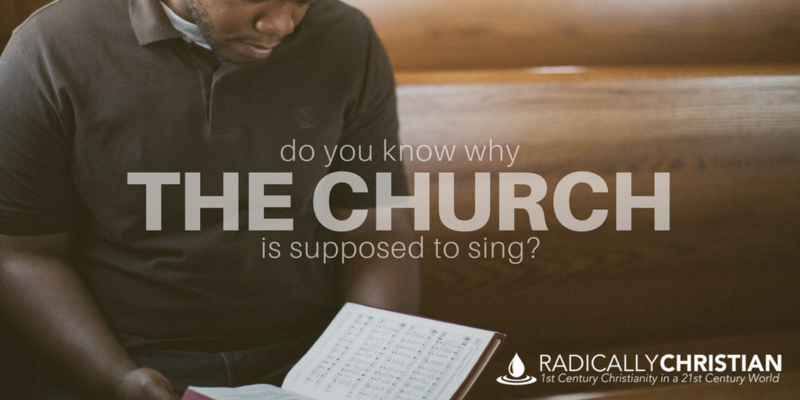 Do You Know Why the Church is Supposed to Sing? It may seem strange to many people that we gather up on Sundays to sing songs. They may think, “I don’t particularly like to sing.” Or, “I’m not a good singer; I can’t imagine singing in public like that, where other people can hear you.” Actually, we’re not supposed to sing because of a particular fondness for it or because of a talent for it. Here are some of the reasons the church is supposed to sing. The apostle Paul gives two commands in Ephesians 5:18-21. The first is to not get drunk with wine. The second is to be filled with the Spirit. How do you accomplish those commands? 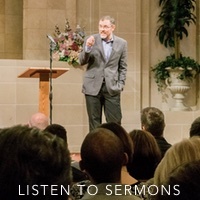 It’s pretty easy to know how to accomplish the command not to get drunk with wine, but how do you accomplish the command, “Be filled with the Spirit”? Paul is talking to Christians, who of course were given the gift of the Holy Spirit when they were baptized (Acts 2:38). So, what does he mean by giving them this instruction, be filled with the Spirit? How can they accomplish that command? How can we accomplish that command? Apparently, we will not receive from the Spirit everything He desires to give us unless we speak to each other in songs and make melody to the Lord with our hearts. And being filled with the Spirit isn’t a tingly feeling that comes over you when the church sings your favorite song. Being filled with the Spirit is about gaining wisdom to know how to live (see Ephesians 5:15-17). In a very similar passage in Colossians, Paul gives the command, “Let the word of Christ dwell in you richly” (Colossians 3:16). The phrase, “word of Christ” means Christ’s message, His story, His Good News, who He is and what He has done. Paul tells the church to let this message dwell in them richly. Though it’s often turned into this, our singing should never be a talent show, where we show off for others. Our singing should never be an entertainment venue, where we come as consumers. And our singing should never be a legalistic way of trying to justify ourselves; thinking we are right with God because we sing. Our singing should be more about education than entertainment and more about unity than preference. Our singing is about identity formation and even character formation. The congregation shouldn’t be watching performers perform, but should be participating in something that is designed by God to fill them with the Spirit and let the word of Christ dwell in them richly. When congregations move from participation to performance, they rob Christians of spiritual blessings. So lift your voice in song, so that you may be filled with the Spirit and let the word of Christ dwell in you richly.